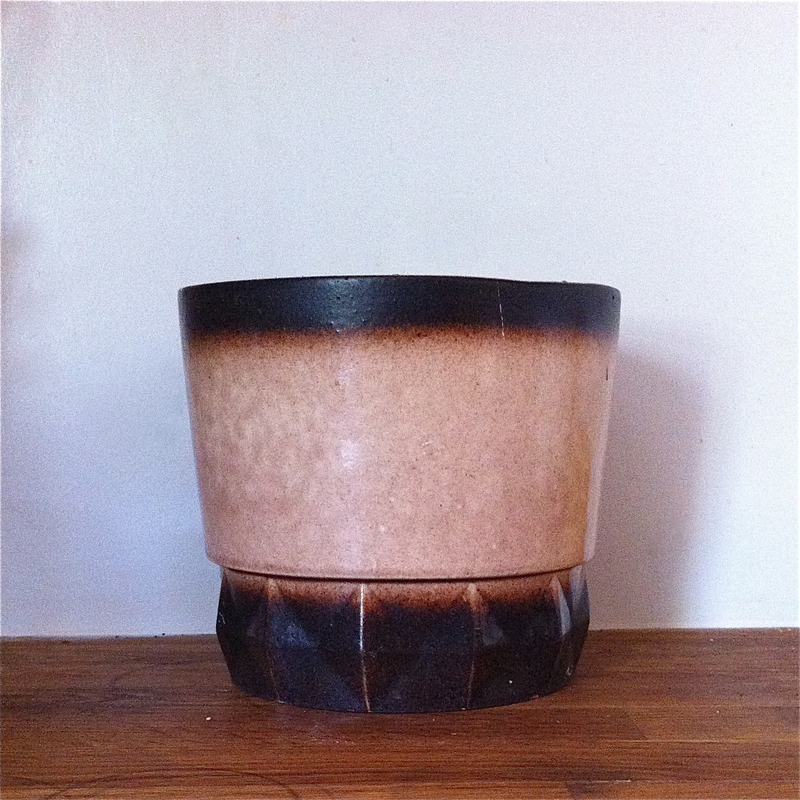 Because I know so very little about ceramics and pottery, always exciting when I come across a piece — like this planter — that is marked. 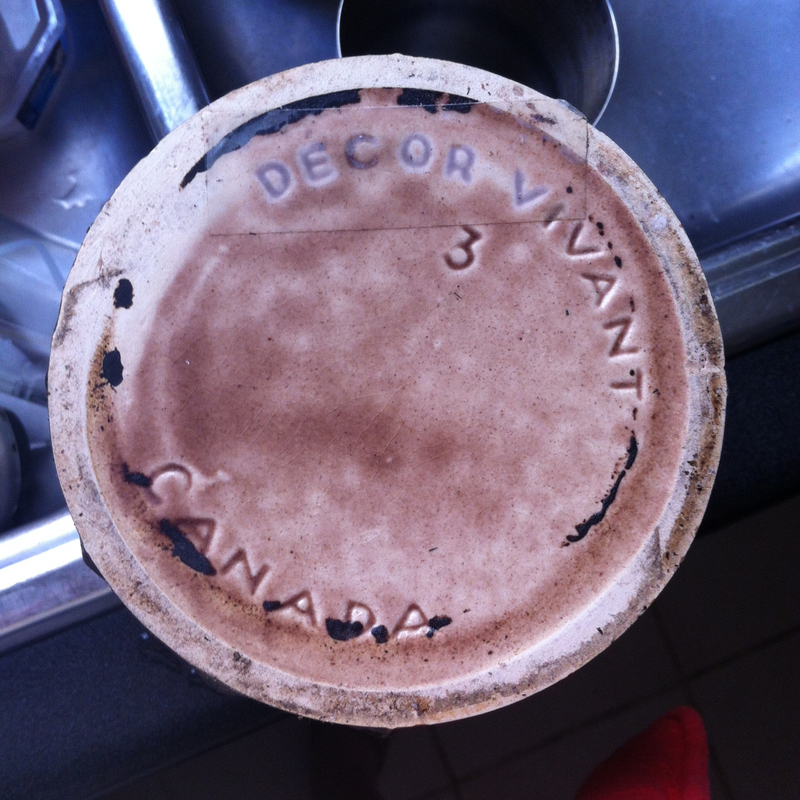 In this case, the underside is signed Decor Vivant Canada. Unfortunately, signed or not signed, I have not been able to find any info about this company. An aside: I’ve had this pot for a couple of years but because I was repotting the Jade plant that sat in it before, I thought I’d take the opportunity to clean the planter up and photograph it. I’ve gone into an Internet research rabbit hole looking at examples of these Laurentiennes. I feel another collection coming on!